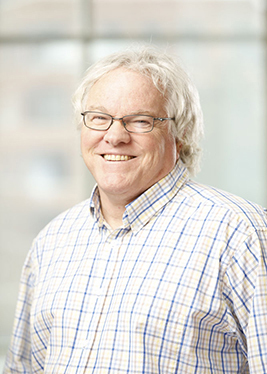 Hugh Crean has more than two decades of experience as a researcher at the University of Rochester, focusing on school-based and after-school psychosocial prevention initiatives for high-risk children and youth and families, program evaluation of psychosocial interventions, and contextual effects on adolescent risky behaviors. Crean has conducted dozens of intervention outcome evaluations, and has served as a statistician and/or principal investigator on a number of NIH, PCORI, AHRQ, IES, OAH/DHHS, and VA funded initiatives. He is well-versed in community-based participatory research and has worked with a number of local institutions in examining program outcomes and fidelity of interventions offered. Designs have included person randomized studies, cluster (place) randomized studies, and quasi-experimental designs. As part of this intervention work, Crean encourages colleagues to examine mediational models of the mechanisms theorized to underlie the tested intervention — addressing not just whether or not the intervention "works" but adding to a further understanding of "how" the intervention works. He has extensive experience in research design and the use of multivariate statistics and collaborates with faculty, postdocs, and students on research design and statistical approaches. He earned his PhD from the University of Texas at Austin and his bachelor's degree from St. Michael's College. Fidelity of the PATHS prevention curriculum: Are we at the school, classroom, and/or individual student level? Internalizing and externalizing behavior problems of prematurely born children at 3 years of age: An integrative model of the COPE Program. PATHS to Children's Social and Character Development: Are students' social information processes changing? If so, for whom? Translating the COPE Program into clinical practice: The challenges of research implementation. Maternal anxiety and depression following a premature infant's discharge from the NICU: An integrative model of the COPE Program. The COPE NICU Program for parents and preterm infants: Direct healthcare NICU costs and savings. PATHS to Children's Social and Character Development: Preliminary effects on children's social information processing abilities. Longitudinal patterns in early adolescent extracurricular activity participation. Creating Opportunities for Parent Empowerment (COPE): Program effects on parents of low birthweight (LBW) premature infants and neonatal intensive care length of stay. Full-service schools: Who gets the service? Crean, H. F., Forbes-Jones, E. L., & Metzger, A. P. (n.d.). Demographic differences in children's social information processing variables: Hostile attribution bias, normative beliefs about aggression, and competent and aggressive interpersonal negotiation strategies.. .
Pidgeon, W.R., Funderburk, J., Bishop, T.M., & Crean H.F. (2017). Brief cognitive behavioral therapy for insomnia delivered to depressed veterans receiving primary care services: A pilot study. Journal of Affective Disorder, 217, 105-111. Wilde, M.H., McMahon, J.M., Crean, H.F., Brasch, J. (2017). Exploring relationships of catheter-associated urinary tract infection and blockage in people with long-term indwelling urinary catheters. .
Wilde, M. H., Crean, H. F., McMahon, J. M., McDonald, M. V., Tang, W., Brasch, J., Fairbanks, E., Shah, S., & Zhang, F. (2016). Testing a model of self-management of fluid intake in community residing long term indwelling urinary catheter users. Nursing Research, 65 (2), 97-106. Heffner KL, Crean HF, Kemp JE (2016). Meditation programs for veterans with posttraumatic stress disorder: Aggregate findings from a multi-site evaluation. Psychol Trauma, 8 (3), 365-74. Pigeon WR, Heffner KL, Crean H, Gallegos AM, Walsh P, Seehuus M, Cerulli C (2015). Responding to the need for sleep among survivors of interpersonal violence: A randomized controlled trial of a cognitive-behavioral insomnia intervention followed by PTSD treatment. Contemp Clin Trials, 45, 252-260. Morrison-Beedy, D., Carey, M.P., Crean, H.F., & Jones, S.H. (2011). Risk behaviors among adolescent girls in an HIV prevention trial. Western Journal of Nursing Research, 33 (5), 690-711. Social and Character Development Research Consorium (2010). Efficacy of schoolwide programs to promote social and character development and reduce problem behavior in elementary school children (NCER 2011-2001). .
Morrison-Beedy, D., Carey, M.P., Crean, H. F., & Jones, S. (2010). Determinants of adolescent female attendance at an HIV risk reduction program. Journal of the Association of Nurses in AIDS Care, 21 (2), 153-161. Metzger, A. P., Crean, H. F., & Forbes-Jones, E. L. (2009). Patterns of organized activity participation in urban, early adolescents: Associations with academic achievement, problem behaviors, and perceived adult support. Journal of Early Adolescence, 29 (3), 426-442. Massetti, G. M., Crean, H. F., Johnson, D., Dubois, D., & Ji, P (2009). Methodological considerations in evaluating school-based programs to promote social competence and reduce problem behavior.. Journal of Research in Character Education, 7 (2), 103-117. Melnyk, B. M., Crean, H. F., Fishchbeck-Feinstein, N., & Fairbanks, E (2008). Maternal anxiety and depression following a premature infant's discharge from the NICU: An integrative model of the COPE Program. Nursing Research, 57 (6), 383-394. Crean, H. F. (2008). Conflict in the Latino parent-youth dyad: The role of emotional support from the opposite parent. Journal of Family Psychology, 22 (3), 484-493. Melnyk, B. M., Crean, H. F., Fischbeck-Feinstein, N., Fairbanks, E., & Alpert-Gillis, L. (2007). Testing the theoretical framework of the COPE program for mothers of critically ill children: Intervention effects on young children's post-hospital adjustment behaviors. Journal of Pediatric Psychology, 32 (4), 463-474. Melnyk, B. M., Small, L., Morrison-Beedy, D., Strasser, A., Spath, L., Kreipe, R., Crean, H. F., Jacobson, D., Kelly, S., & O'Haver, J. (2007). The COPE Healthy Lifestyles TEEN Program: Feasibilty, preliminary efficacy, and lessons learned from an after-school group intervention with overweight adolescents.. Journal of Pediatric Health Care, 21 (5), 315-322. Melnyk, B. M., Fischbeck-Feinstein, N., Alpert-Gillis, L., Fairbanks, E., Crean, H. F., Sinkin, R. A (2006). Reducing premature infants' length of stay and improving parents' mental health outcomes with the Creating Opportunities for Parent Empowerment (COPE) neonatal intensive care unit program: A randomized controlled trial. Pediatrics, 118 (5), e1414-1427. Melnyk, B. M., Small, L., Morrison-Beedy, D., Strasser, A., Spath, L., Kreipe, R., & Crean, H. F. (2006). Mental health correlates of healthy attitudes, choices & behaviors in overweight teens. Journal of Pediatric Health Care, 20 (6), 401-406. Smetana, J. G., Crean, H. F., & Campione-Barr, N. (2005). Adolescents' and parents' changing conceptions of parental authority. Changing Boundaries of Parental Authority During Adolescence; New Directions for Child and Adolescent Development, No. 108, 31-46. Melnyk, B. M., Alpert-Gillis, L., Fishbeck-Feinstein, N., Crean, H. F., Johnson, J., Fairbanks, E., (2004). Creating Opportunities for Parent Empowerment: Program effects on the mental health/coping outcomes of critically ill young children and their mothers. Pediatrics, 113 (6), e597-607. Crean, H. F. (2004). Social support, conflict, major life stressors, and adaptive coping strategies in Latino middle school students: An integrative model. Journal of Adolescent Research, 19 (6), 657-676. Crean, H. F. (2003). Review of Heinemann, G. D., & Zeiss, A. M. (Eds.) (2002). Team performance in health care: Assess. Journal of Interprofessional Care, 17 (3), 317-318. Smetana, J. G., Crean, H. F., & Daddis, C. (2002). Family processes and problem behaviors in middle-class African American adolescents. Journal of Research on Adolescence, 12 (2), 275-304. Crean, H. F., Hightower, A. D., & Allan, M. (2001). School-based day care for children of teen parents: Evaluation of an urban program designed to keep young mothers in school. Evaluation and Program Planning, 24 (3), 267-275. Sutton, S. E., Cowen, E. L., Crean, H. F., Wyman, P. A., & Work, W. C. (1999). Pathways to aggression in young, highly stressed urban children. Child Study Journal, 29 (1), 49-67. Crean, H. F., & Arvey, H. (1992). A declaration of beliefs and visions: Houston's School of the Future. School of the future, 97-114. Crean, H. F., & Holzer, C. E. (1990). Research on the mental health of minorities in Texas: Workshop discussion and recommendations.. Mental health research in Texas: Retrospect and Prospect, 292-301. Crean, H. F., Rodriguez, A. N., & Vega, R. R. (1990). Concho Valley Center for Human Advancement.. Community mental health in Texas: Four case studies, 129-165. Crean, H. F (1990). The criminal justice system and its impact on the mentally ill.. Financing Community Care for the Chronically Mentally Ill in Texas, 93-134.